A new feature in Apple's macOS Sierra lets you use your Apple Watch to easily unlock your Mac computer. However, the 'Auto Lock' feature won't work unless a set of security and authentication safeguards is also enabled. On Tuesday, Apple released the latest version of its desktop OS, macOS Sierra v10.12. The new software features a number of noteworthy enhancements, such as voice-activated Siri commands, support for Apple Pay payments via the Safari browser, a polished Photos app, and many new iOS integrations. But Apple Watch owners will be particularly interested in one new macOS authentication feature. The new "Auto Unlock" option lets you quickly unlock your Mac by simply wearing an unlocked Watch while in range of the laptop or desktop. It's easy to turn on Auto Unlock, though you have to enable two-factor authentication for your Apple ID if you haven't already. Here is a set of simple steps to get Auto Unlock up and running. Choose "Security & Privacy" from the top row of settings icons, and on the "General" tab, check the box for "Allow your Apple Watch to unlock your Mac." If you don't already use two-factor authentication to secure your Apple ID, you need to enable the feature before you can use Auto Unlock. Two-factor authentication for Apple ID adds another security layer to your Apple account information, and it requires that you designate a phone number or email account that can be used to send unique codes for authentication. You'll need your Apple ID password and the answers to any related security questions you may have set in the past, as well as the payment card information tied to your ID, to enable two-factor authentication. Here's how to turn the feature on. Open your Apple icon at the top-left of your Mac display, then select System Preferences. Choose the first icon in the third row of settings options, labeled "iCloud." Click "Account Details," and on the following screen, select the third tab, labeled "Security." On the Security screen, click the option to enable two-factor authentication, and follow all the required prompts to enter any necessary passwords or payment information, and answer security questions, if necessary. 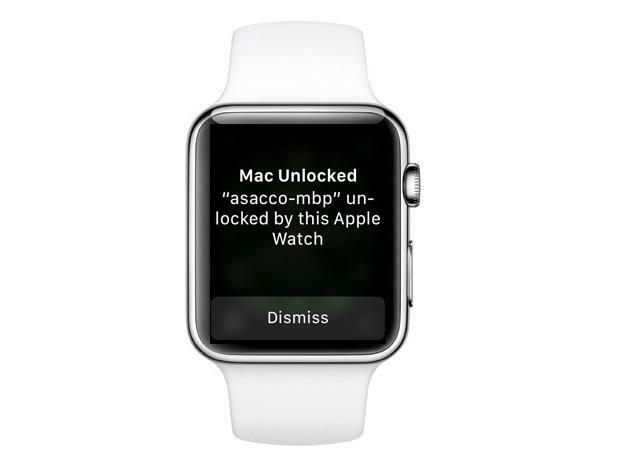 Once you've enabled two-factor authentication, you're ready to unlock your Mac with your Apple Watch. Lock your Mac and walk out of range, into the next room or equivalent. Put on your Apple Watch and unlock it using your passcode. You won't be able to use Auto Unlock until you manually unlock your Watch. 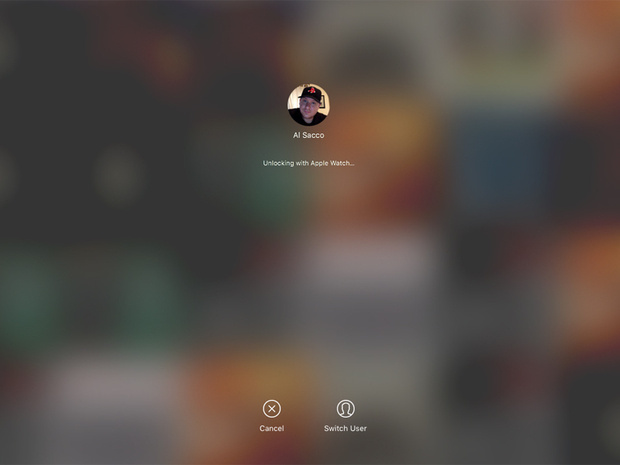 When you return and wake your computer and tap a key to launch the login screen, you'll see "Unlocking with Apple Watch …" on-screen for a few seconds, then your Mac should unlock, and you are good to go. You'll also see an unlock confirmation alert on your Watch.